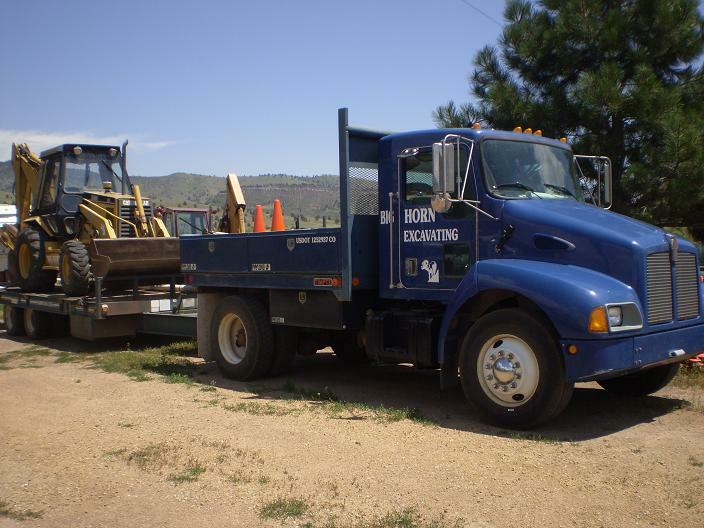 Big Horn Excavating is a small business located near Lyons, Colorado. The company was started 28 years ago by Terry Swink who continues to provide quality workmanship for the local communities. For Further details, click on the links above. When it comes to replacing a bad sewer or preparing the foundation for a house, quality workmanship is key. When it's tree roots or settled lines in your sewer, you know you want quality work the first time through. Big Horn Excavating is Licsensed, Bonded, and Insured. -troubleshoot existing leachfield prior to home purchase on St. Vrain Rd. -contract to install new water service for home on upland in Boulder including ROW work to tap water main completed. -Sewer line replacement in Boulder -Broomfield sewer line upgrade Kohl St.- Septic system problem N. 83rd. -Septic Tank , Pinewood Springs, prepare for home sale. Cheyenne Dr.
-Install a new septic tank to meet septic smart program requirement. Spring Dr.
-Septic Smart required new leachfield for house closing. Erie on 119th St.